CDR Knowledge sessions are a series of experiential learning events that highlight developments in music production, tools and technique. This session explores the mobile music creation and production space and the people that are moving it forward. MADE WITH MOBILE PLAYLIST: A DJ set featuring tracks produced using mobile apps. Submit yours to our SoundCloud Dropbox for consideration. Highlights to be featured on our Made with Mobile mixtape! On Saturday the 25th and Sunday the 26th of September 2010 London’s SAE will play host to Producer Sessions Live, a gathering of some of the biggest names in dance and pop music production including Freemasons, Dave Spoon, Jon Carter & Alex Blanco, Danny Byrd, and the latest addition, Hospital Records’ legend Nu:Tone. 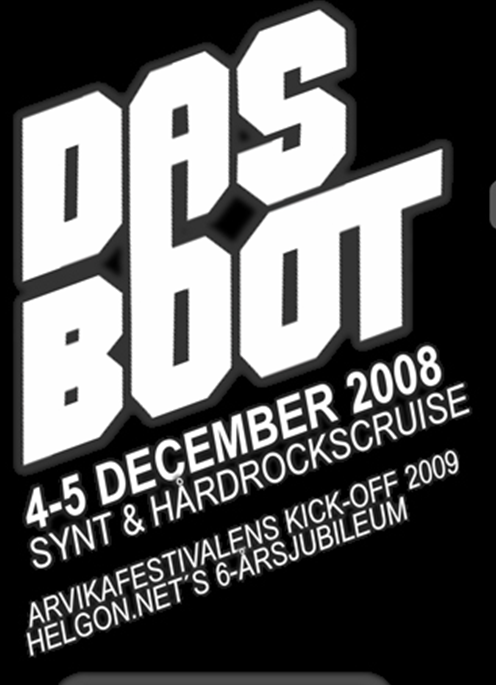 Das Boot 2008, will you be there? September 3, 2008 · Posted in Electronic Music · Comments Off on Das Boot 2008, will you be there?